The Deltec Gaffer Tape pro Black has a width of 46 mm and is 50 m long. This Gaffer tape is among the best available. This Gaffer tape is very versatile. 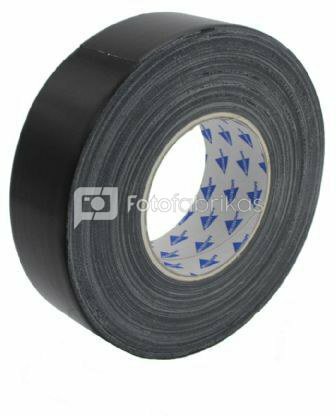 You can use it to tape wires to any surface without seeing any glue marks after removing it in contrast to Duct tape. 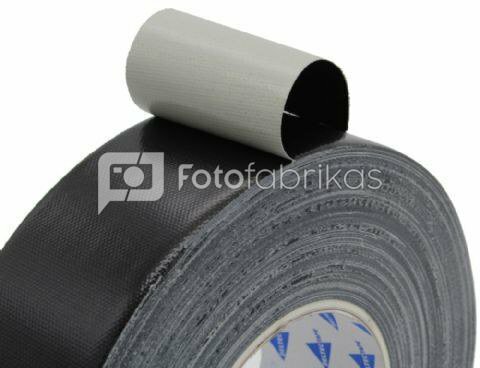 Even connecting two backgrounds is possible with this gaffer tape. It is easy to tear the tape by hand, which makes accessories like scissors unnecessary. 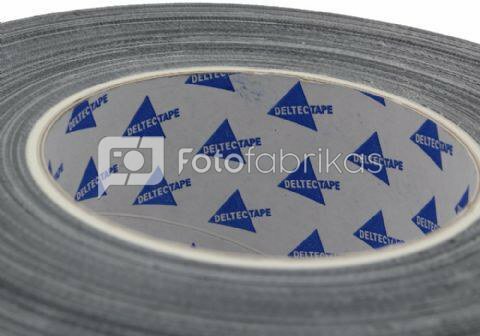 Besides the color black we also have Deltec Gaffer tape in the colors white and grey. You’ll find these below at “Optional accessories”. Please contact us for any other colors or sizes. 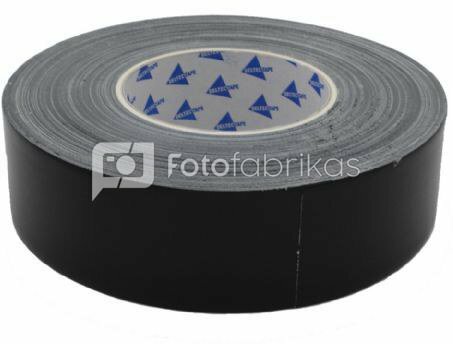 The Deltec Gaffer tape can be used for multiply purposes, you can cover wires on the floor, connect two backgrounds together and many other purposes. After removing the Gaffer tape you won’t see any glue marks.